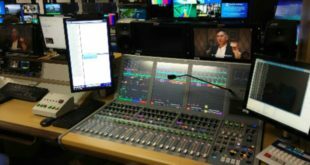 Hunan Broadcasting System is using the mixer with AR2412 and AB168 I/O racks to manage several popular internet TV programmes. Chinese production company Hunan Broadcasting System has purchased an Allen & Heath GLD-112 digital mixer with AR2412 and AB168 I/O racks to manage its live entertainment shows, starting with the most popular entertainment show in China, Super Girl. New for the returning season, the final six episodes of Super Girl were broadcast live on imgo.TV, an Internet TV platform affiliated to Hunan, with more than 35 million active viewers per day. The shows featured performances from final competing contestants with commentary from five professional judges on stage, plus two guest performing artists. 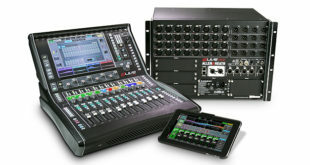 The biggest technical challenge was handling the mixture of handheld and headset microphones and various open mics, which was managed by GLD’s Automatic Mic Mixing (AMM) feature.